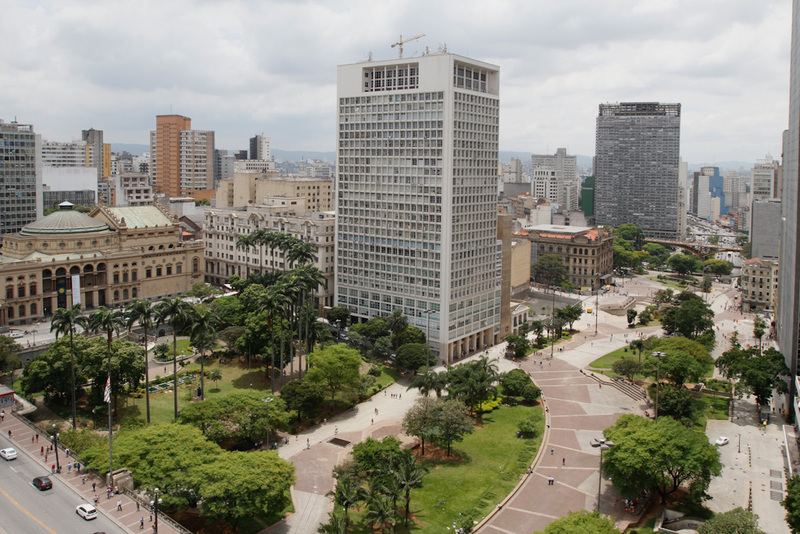 São Paulo is huge, there’s no way to make a list of all the cool things to see here. You could try, but it is almost infinite. But there are things that I enjoy more, like going to the city center, that area of Paissandú, Anhangabaú, the Municipal Theater, Rei do Matte, Galeria do Rock, Copan, and the Praça Roosevelt. Those are places that every skater who visit the center knows well. Whenever we have friends from abroad, we also take them to Beco do Batman (Batman’s Alley) in Vila Madalena because of the graffiti there, which is always different. We visit the A7MA Gallery, eat a classic feijoada in any bar that serves it. We really dig the one from the Cecília Bakery, in Paraíso, next to the Ibirapuera Park, which also has a lot of cool things to do, in addition to skateboarding.